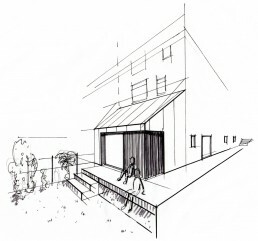 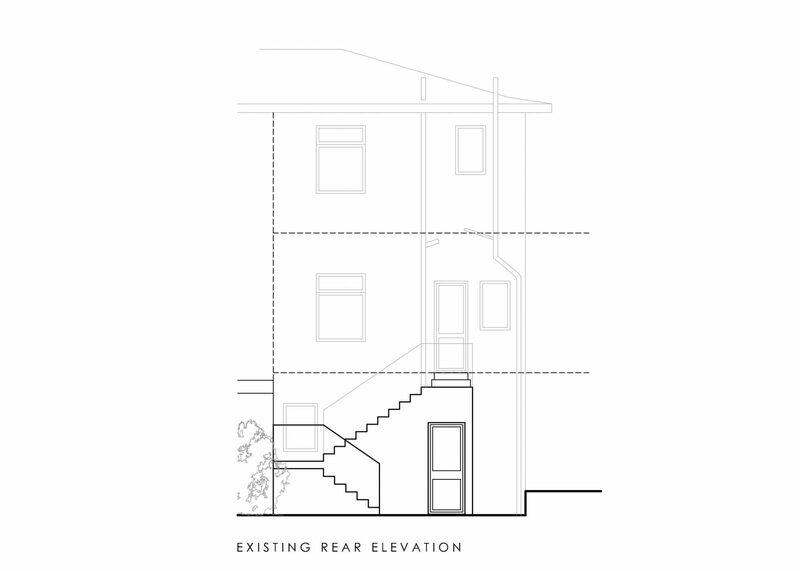 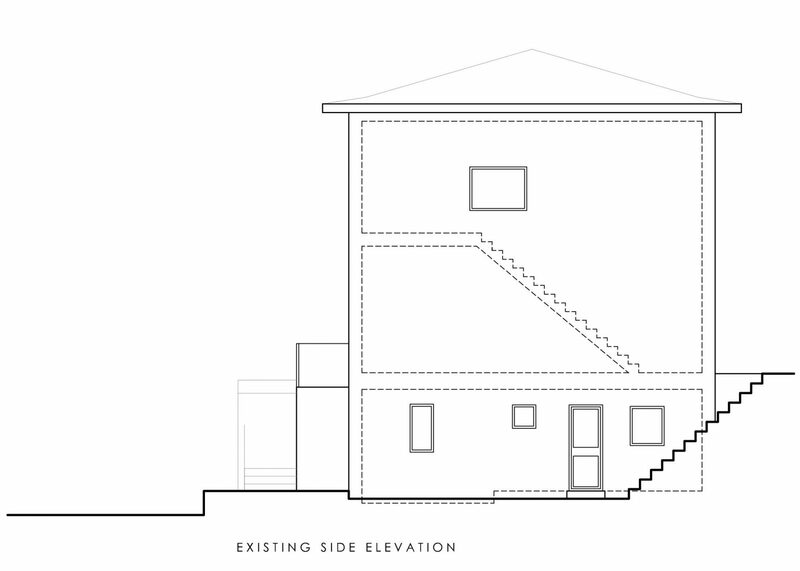 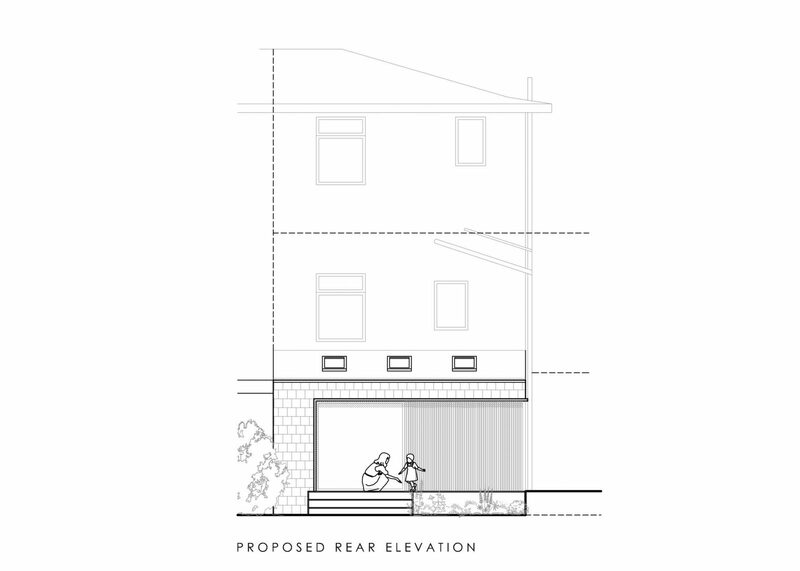 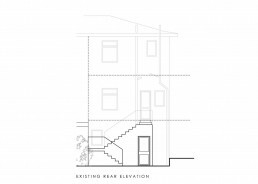 The terrace row sits on a sloping site with 2 storeys facing on to the street and 3 storeys to the garden at the back. 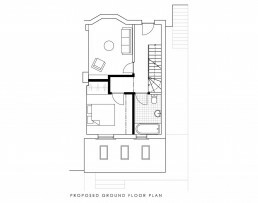 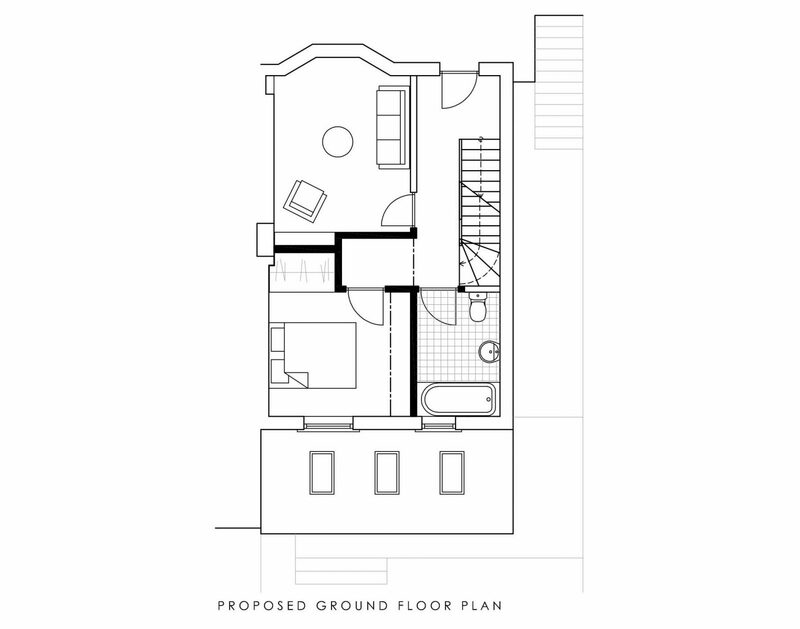 Previously the building was split into two properties, one occupies the street level and top floor whilst the second property had private access from the garden to the lower ground level. 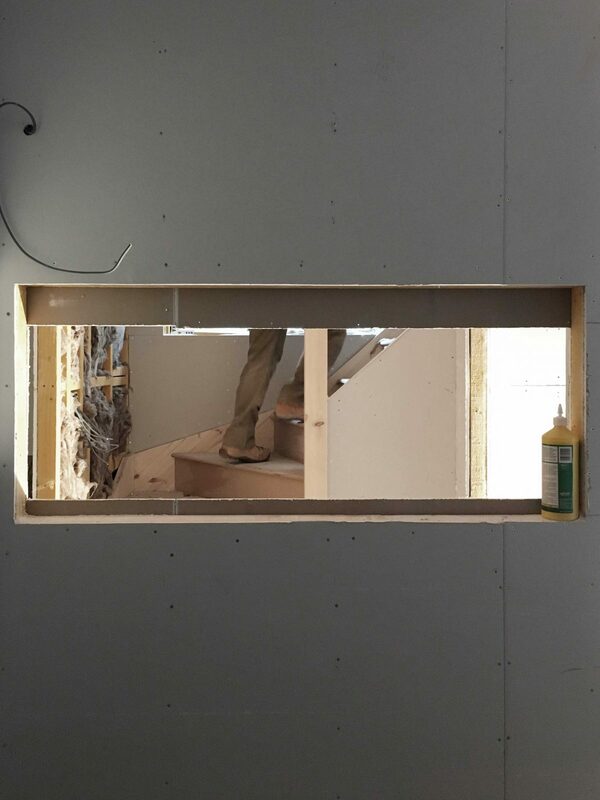 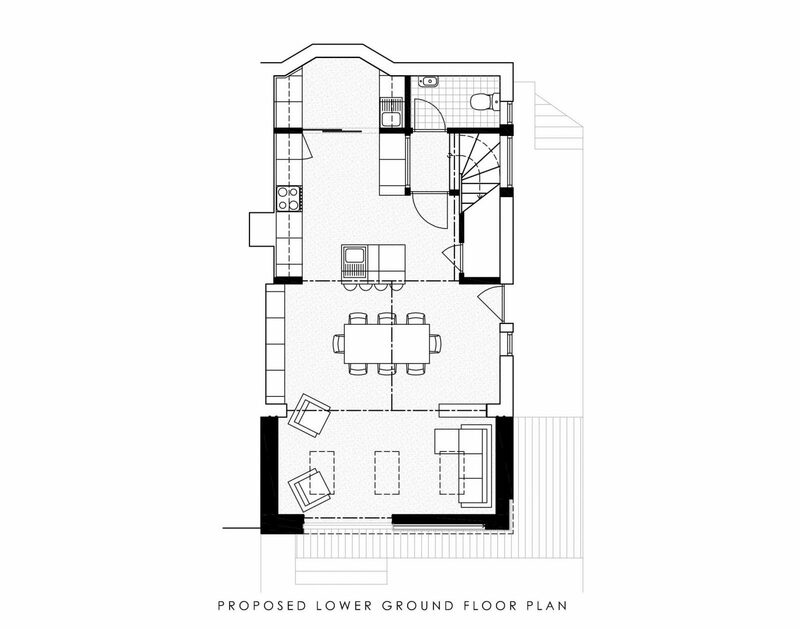 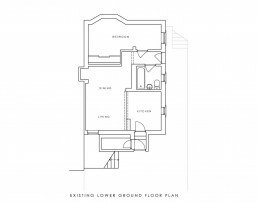 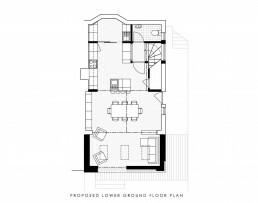 The young family who now own the building wanted to connect the 3 levels to form additional space as well as an extra bedroom. 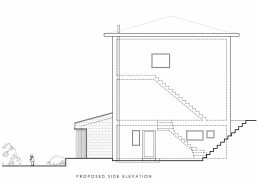 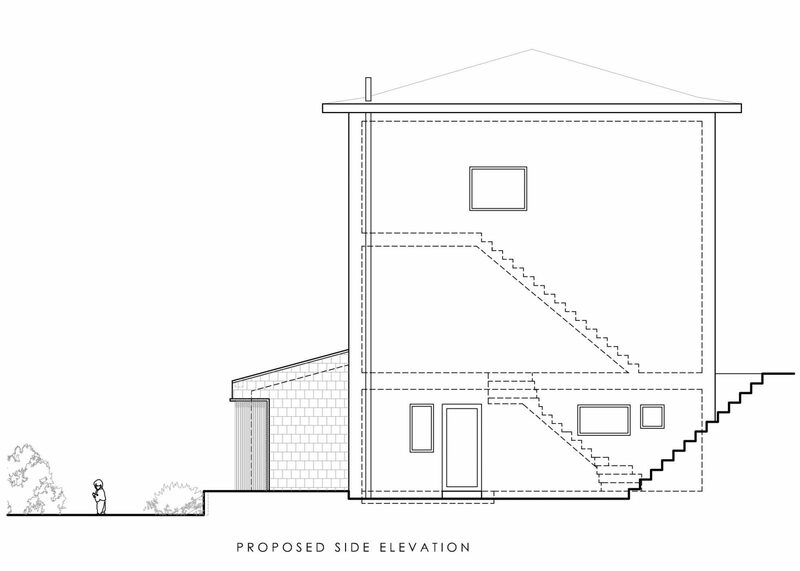 The proposal also included extending into the garden. 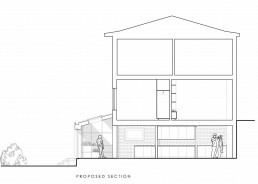 The complexity of this project mostly related to the Building Warrant phase of the project, where approval is sought from the Council for the technical design and performance of the project. 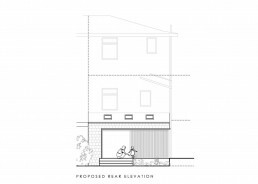 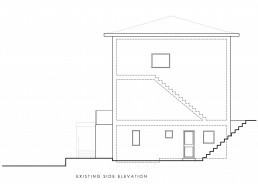 This is different from a Planning Application which is more focused on the use of the building, the external appearance and the surrounding context. 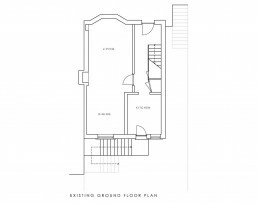 Building Warrant drawings include construction details and specification for new walls, floors and roofs, electrical, drainage and services layouts, fire safety, accessibility and sound proofing. 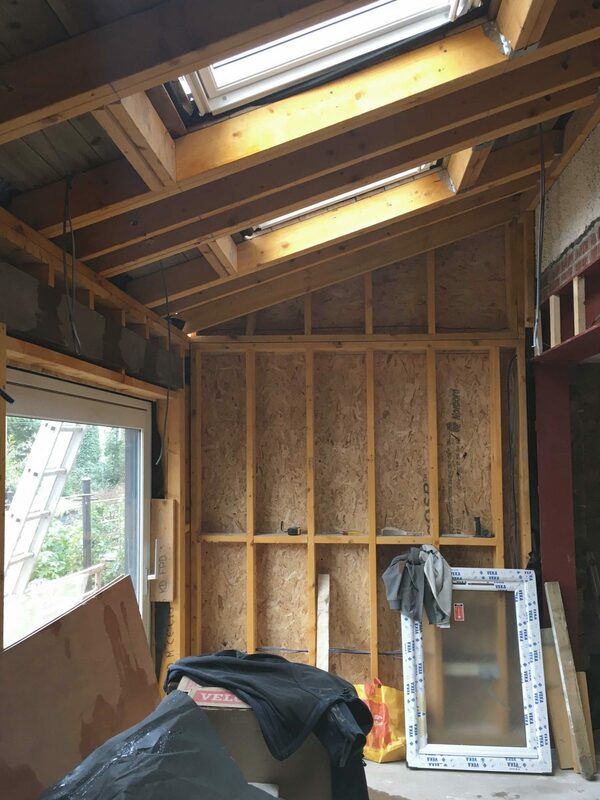 As this project was to convert two properties into one the regulations are more onerous than they would be on a standard extension project. 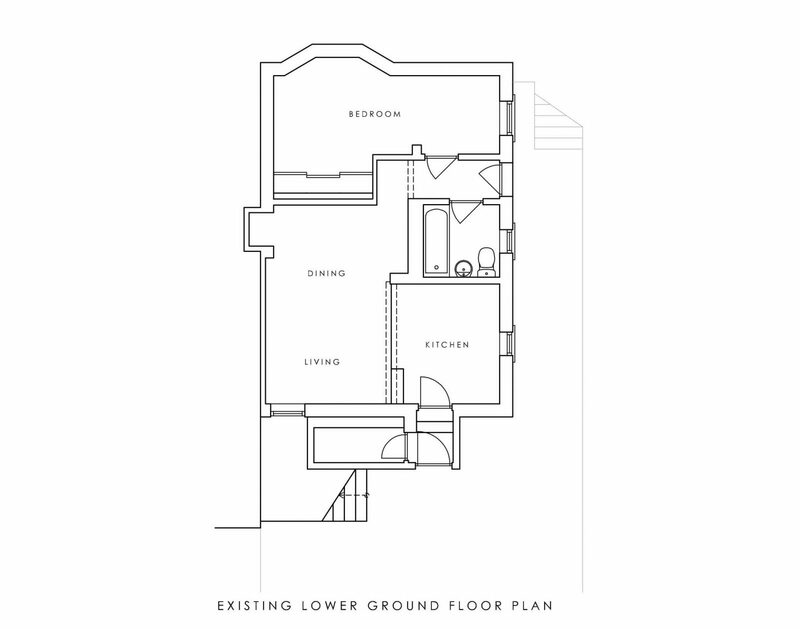 Fire regulations were mostly affected, this was partly due to the height of the building from the top floor down to the garden level. 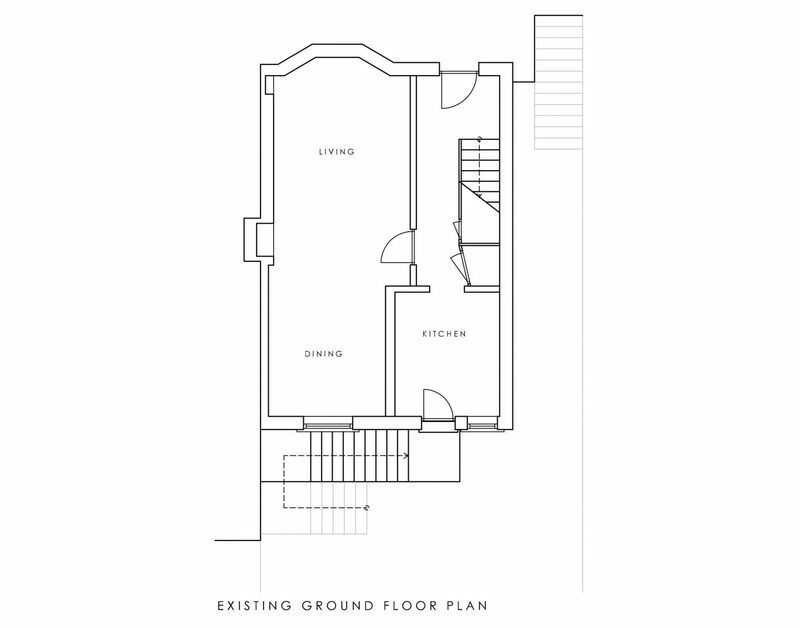 The proposed layout was to maintain a living area on the street level and create a new bedroom and family bathroom. 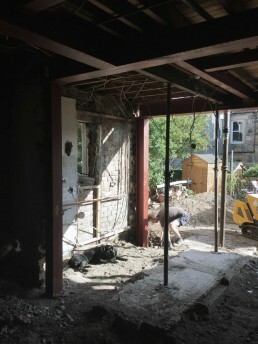 On the ground floor, the space is opened to form a new kitchen, dining and living area looking onto the garden. 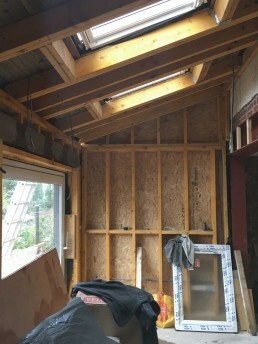 The extension is clad in slate on the walls and roof with timber used to soften the corner. 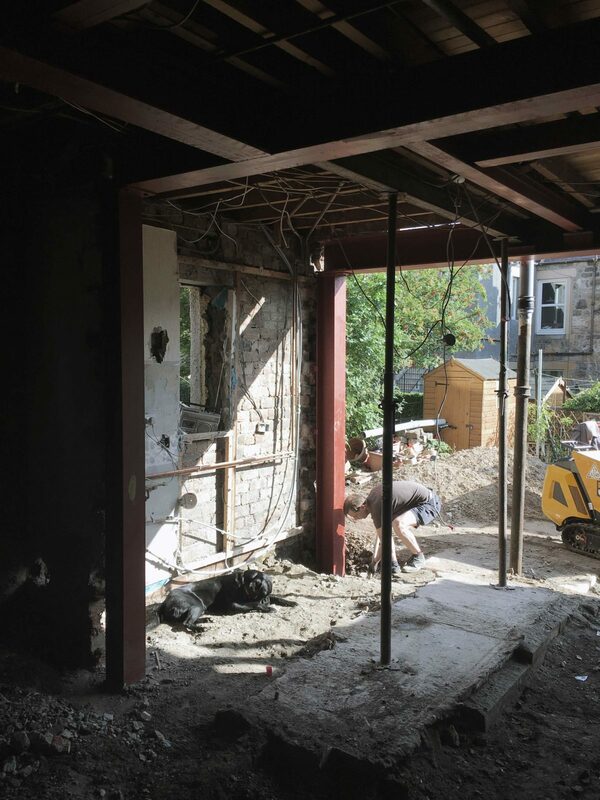 A large sliding pocket door provides access onto the deck and into the garden with skylights giving additional natural light.